Michael Schmidt's latest book is a monster. 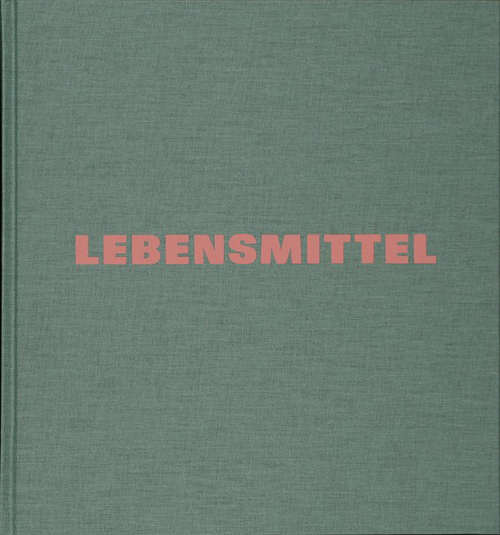 Roughly translated as food or 'foodstuff,' Lebensmittel (Snoeck, 2012) is a massive exploration of our global food economy. 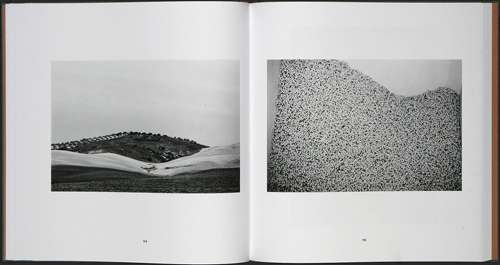 Weighing in at several pounds and with over 170 images, the book is very impressive. 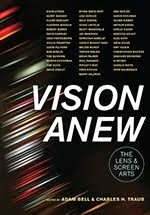 I'm a huge Schmidt fan and think he is one of the most underrated contemporary photographers. I'll take him any day over his German contemporaries from Düsseldorf. 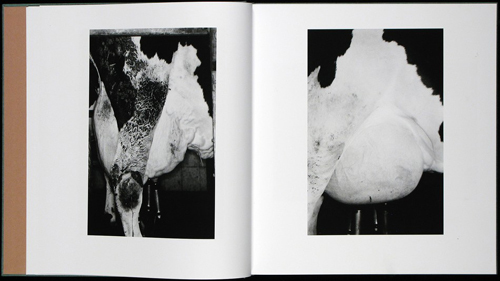 Lebensmittel represents several years of work investigating factory farms, grocery stores, slaughter houses, dairy farms etc... captured with Schmidt's cold and clean eye. The book also contains rare examples of color work, which is surprising given his recent retrospective at the Haus De Kunst in Munich was entitled "Grey as Color." With the exception of EIN-HEIT (Scalo, 1996), this may be Schmidt's most ambitious project to date. 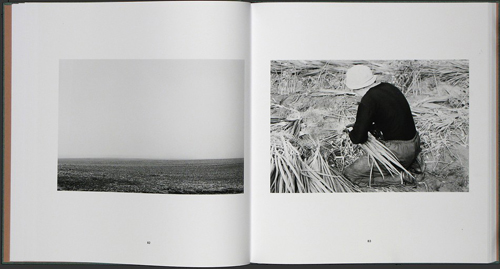 From the slipcase and the printing, the production on the book is also exceptional. While the book is undeniably gorgeous, I almost feel the production value of the book is trying to lend the work more solemnity – like a over-designed (and overpriced) boxed set of a rock band. I also worry that the steep price of the book will prevent it from being more widely seen, because it is smart and interesting work. I just wish a institution like PS1 would step up and host the show here in NYC. I've kept my comments brief, but may write more later. I need to spend some more time with the book.